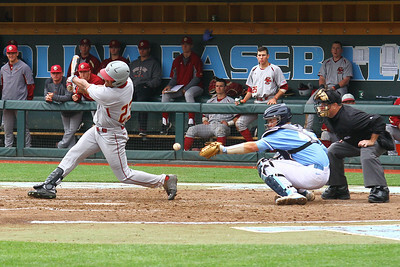 Gabriel Hernandez goes to bat for Boston College at the top of the ninth. 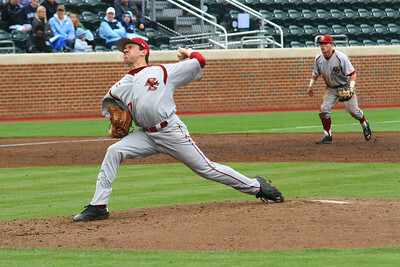 Right hand pitcher Trent Thorton comes in to pitch the ninth inning. 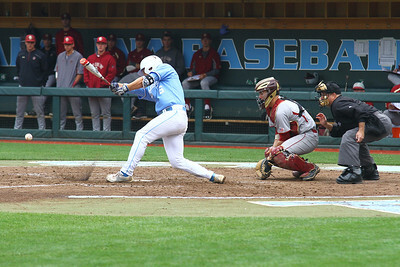 Freshman Jake Palomaki (11) goes to bat at the top of the ninth. 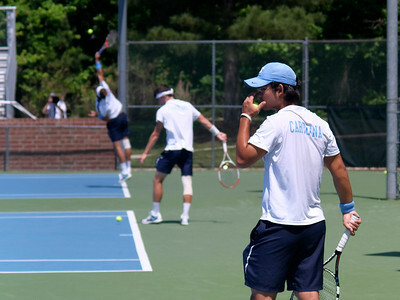 (He walks). 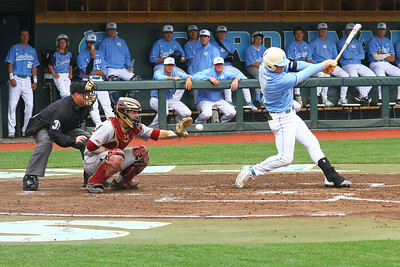 North Carolina junior Alex Raburn (6) strikes out swinging during the bottom of the eighth. 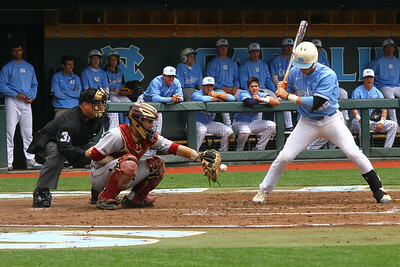 Boston College junior Stephen Sauter (9) grounds the ball which results in a double play during the top of the eighth. 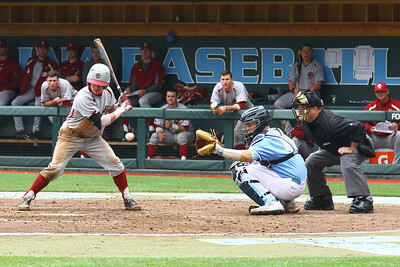 Boston College junior Logan Hoggarth (6) strikes out swinging during the top of the fifth. 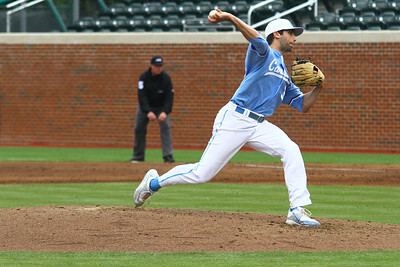 Benton Moss throws a pitch. 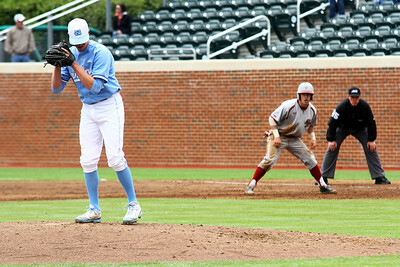 North Carolina junior Landon Lassiter (12) strikes out looking at the bottom of the fourth. 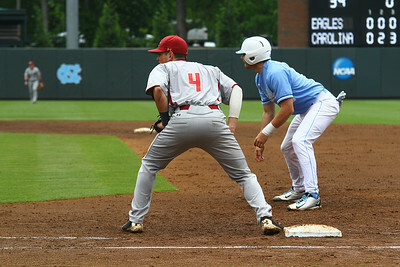 Zack Gahagan (10) looks to move to second base. 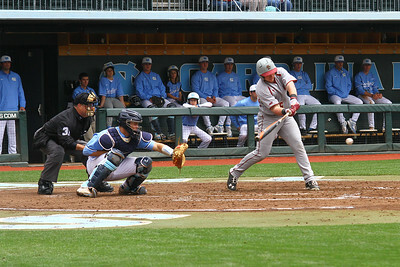 Michael Strem hits the ball out to left field for an out during the fourth inning. 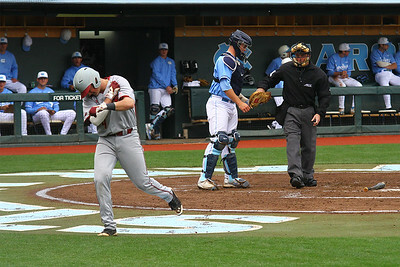 Joe Cronin grabs his left shoulder after batting at the top of the fourth. 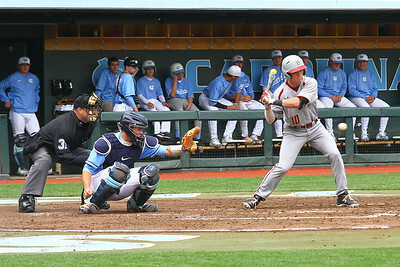 Freshman shortstop Logan Warmoth (7) singles to left center to bring two runs home. 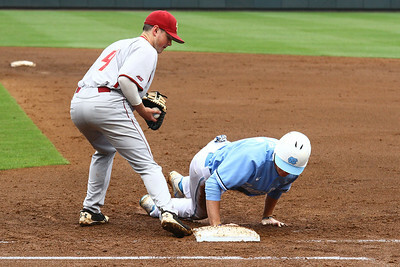 Freshman designated hitter Brian Miller slides into first. Boston College junior left hand pitcher Jesse Adams (17) threw 81 pitches on Sunday. 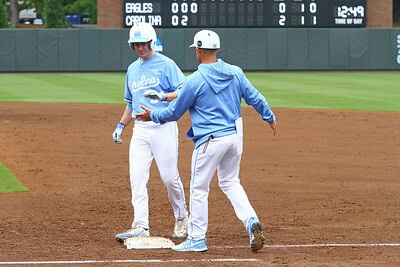 North Carolina freshman designated hitter Brian Miller celebrates a hit during the third inning. Miller had one hit and one run on Sunday. 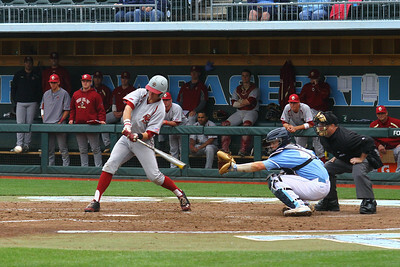 Landon Lassiter, a junior left fielder, gets a strike during the third inning. 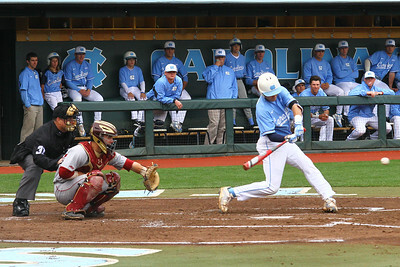 Lassiter had one hit and one run on Sunday.